Store Supply Warehouse wants you to help your customers celebrate the holidays in style! The Large Holiday Ornaments Frosted Shopping Bags are the perfect way for your customers to carry home their goodies in a contemporary way! 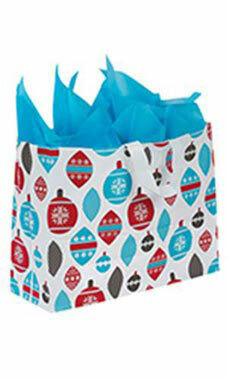 Featuring bright blue and red with brown and white these bags are the perfect option for any retail store's holiday sales!